TV ratings are going in only direction: down. 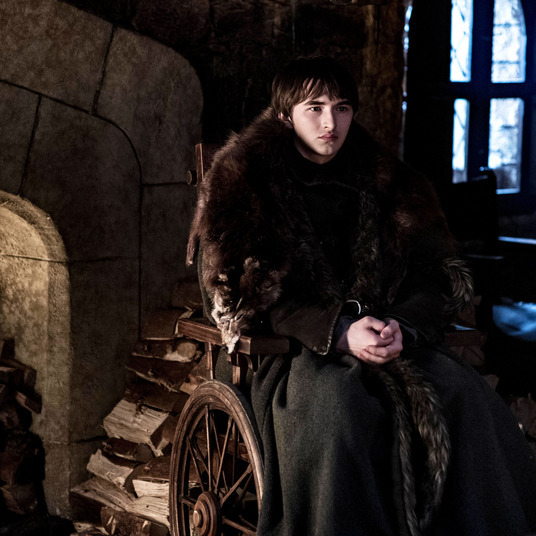 Viewers have more options than ever for entertainment, be it what to watch or how to watch, and all of this has led to massive ratings declines for the Big Four. Not surprisingly, Madison Avenue has started penalizing broadcasters: While advance ad sales for the new season are expected to reach nearly $9 billion, that could be a year-to-year drop of about 7 percent, robbing networks of a collective $650 million, according to industry trade Adweek. The trend seems irreversible, a ticking countdown clock for the advertising model that has kept TV networks rich and happy for so long. 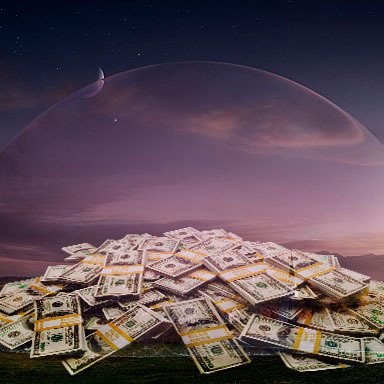 Lucky for networks, they have many new backup plans that are resulting in an influx of alternative revenue even before a single rating point is measured. Back in February, CBS struck a deal with Amazon that would let Amazon Prime members stream episodes of the show four days after they debut on CBS, while anyone with a credit card will be able to download episodes on a pay-per-view basis. Vulture has learned via multiple sources that the streaming giant will pay CBS a whopping $750,000 per hour-long episode — that’s roughly one quarter of the show’s estimated production cost, instantly covered. Dome filmed in North Carolina, taking advantage of the state’s generous tax credits to further reduce its costs. People familiar with the cost structure for Dome say the subsidies work out to approximately $400,000 per episode. International sales have become increasingly important to the TV business, much as global box office is now just as, and sometime more, important to the financial health of American feature films. And Dome has turned out to be a massive hit with overseas networks: Vulture hears the show will pull in around $1.9 million in license fees paid by foreign broadcasters. Add all these revenue streams together, and CBS had raised just over $3 million per episode for Dome before it sold a single ad — the full cost of production. Since even the lowest-rated CBS shows bring in at least $500,000 in ad revenue, even if Dome flops, CBS will make money every time the show airs. As CBS president and CEO Leslie Moonves told investors last month on a first-quarter earnings call, “Combining Amazon with the international syndication deal makes Under the Dome profitable immediately.” What’s more, Moonves added that “non-advertising revenue sources are set to grow significantly” in coming years, something that he said could lead to “more original programming during the year.” With repeats of even mighty CBS dramas such as NCIS tanking this summer, the Eye (and other broadcast networks) will likely be looking to the Dome model as a template for how to reduce the number of low-rated repeats on their schedules, particularly in the summer. In recent years, the only cost-effective way for nets to ditch summer reruns has been either (relatively) cheap reality shows or low-budget imports from Canada and other countries (think Rookie Blue). While Dome is one of the most high-profile examples of TV’s new math, it’s hardly the only one: Alt-financing is becoming increasingly popular and prevalent at broadcast and cable networks alike. A sampler of deals shows the extent to which they are buttressing the TV industry. Take History’s out-of-the-box hit Vikings. Even with all its costumes, sets, and locations, the network’s first foray into scripted series was relatively affordable for the network. When commissioning work from a studio, cable networks regularly pay over half the cost of production, sometimes 70 percent or more. But according to a person familiar with the financial model for Vikings, History is paying just about 40 percent of the show’s production costs because the studio, MGM Television, made strong deals with overseas broadcasters and international streaming services. For example, in Germany and the U.K., audiences were able to stream Vikings on Lovefilm Instant (owned by Amazon) before it was on TV there. Deals like that weren’t feasible five years ago. Then there’s the relatively new trend of frontloading syndication cash. Studios used to have to wait several years before seeing any so-called “backend profits”: Local stations and cable nets needed at least 60 and usually 80 to 100 episodes before they’d start paying for reruns. But streaming services now offer instant backend revenue. Disney-owned ABC Studios, which supplies Scandal and Once Upon a Time to ABC, struck a deal with Netflix last year to put the first seasons of both shows online just a few months after their freshmen seasons ended. A person familiar with the agreement says Netflix paid at least $400,000 per episode for the shows. And that’s just a starter number: The longer both series stay on the air, the more Netflix will pay ABC for streaming rights, insiders say. The CW has been particularly aggressive with its Netflix deals. Its longest-running shows, such as The Vampire Diaries, can fetch up to $650,000 per hour. Industry insiders widely believe one of the key reasons Gossip Girl got renewed for its final season was because the Netflix money made it a no-brainer. The Good Wife is another show that has benefited from the explosion of new viewing platforms. The drama has never been a smash for CBS, though its upscale audience allows the network to get more ad money for the show than its Nielsen numbers might suggest. It was never in danger of cancellation, but its announced renewal in late March was probably helped along by a deal CBS struck a few weeks earlier to put previous seasons of Good Wife on Amazon Prime immediately, with the show also set to be streamed on Hulu Plus this fall. Then, for old time’s sake, it’s pulling in low-tech syndication proceeds: Hallmark Channel will begin airing nightly reruns, while local TV stations will air reruns on weekends beginning in the fall of 2014. Combining these revenue streams, industry insiders believe CBS (which produces the show via its own in-house studio) will be able to reap $2 million per episode of The Good Wife — an astonishing sum for a serialized drama with so-so ratings, and on par with what higher-rated shows such as NCIS: LA have fetched from standard syndication deals. And finally, product integration deals are getting bigger and more accepted (at least by networks and studios) as they get more and more necessary. And it’s not just on struggling shows such as Chuck or Community. Last season saw the New Girl cast hyping Ford, the city government officials of Nashville chowing down on Subway, and the socialites of Revenge whoring themselves for Target. While these agreements don’t offer the same steady supply of cash as syndication or VOD, it’s incremental cash that can help make up for a least some of the declining ad dollars. While all these new strategies seem to be moving network television in a direction that renders ad dollars moot (or at least just a nice bonus), it’s important to note that many of these revenue streams aren’t sure things. The monster international business CBS is doing with Under the Dome isn’t something that can be duplicated with every show, or maybe even most shows. In the same way foreign moviegoers mostly only flock to big blockbusters, not every American TV comedy or drama will click over there. And the international TV marketplace is historically fickle: Foreign money has flown freely before, only to dry out when local broadcasters decide to focus on homegrown product or decide they’re not interested in what we’re serving up. As for streaming services, while Netflix and Amazon and Hulu are godsends for linear networks right now, they may not keep shelling out big bucks for other people’s content forever. Pay cable network Showtime used to spend hundreds of millions buying feature films from studios, but about a decade ago decided to spend most of that coin on first-run series (though it still has a few film output agreements). Streaming services are going to need access to programming libraries in the near-term future, but what’s to say one won’t decide to simply focus on its own programs, starving studios and networks of what’s become a huge revenue source? TV — or whatever we end up calling it — is changing so rapidly these days, it’s impossible to predict exactly how viable these new business models will be in the long-term. But for now, at least, they’re helping the old-school networks fight on.